Deborah Hoffman has worked in the San Francisco Bay Area as a film and video editor for over 25 years, editing numerous internationally acclaimed documentaries. For her work on The Times Of Harvey Milk, she received a National Emmy, and the film received an Academy Award. Other documentaries she has edited include Marlon Riggs' Peabody Award-winning Color Adjustment, National Emmy winners Ethnic Notions and Men Who Molest, and Academy Award winner Common Threads, in which she was one of three editors. With her partner Frances Reid, Deborah directed Long Night's Journey Into Day: South Africa's Search For Truth And Reconciliation. This feature documentary won the Grand Jury Award at Sundance and received an Oscar® nomination as well as 20 other international awards. "The first time my mother asked me, 'How exactly is it that we're related?' I was shocked," says filmmaker Deborah Hoffmann. In Complaints of a Dutiful Daughter, a tender exploration of the tenacity of love and the meaning of memory, Hoffmann chronicles her growing understanding of her elderly mother's struggle with Alzheimer's disease. Shaped by Hoffmann's honest, witty confessional-style narration, the film examines a timely subject: as Americans live longer, more and more people are faced with the life-altering challenge of caring for an elderly parent. 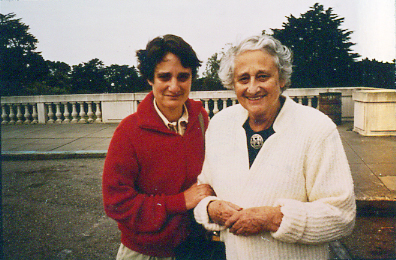 Newly widowed, 78-year-old Doris Hoffmann decides to move to California to be near her daughter. At first, the filmmaker views her mother's increasingly strange behavior as simple forgetfulness. 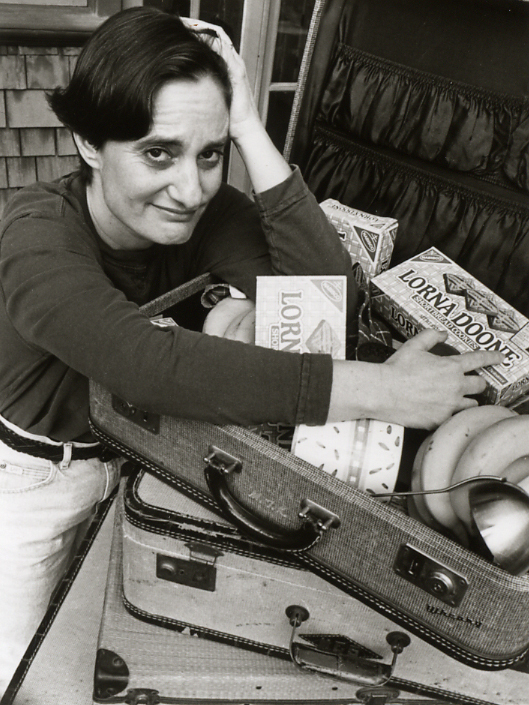 With a dry wit, Deborah chronicles Doris's bizarre obsessive stages. In the Banana Period, Doris eats banana after banana, unable to remember that she's just finished one. In the Hearing Aid Period, she telephones her daughter's answering machine repeatedly, at five-minute intervals, desperately trying to locate her missing hearing aid. "I was constantly looking for a way to connect, and a way to know what she's thinking and what she's feeling, and what I should be doing," says Hoffmann. "But it was more like interpreting dreams." As primary and often frustrated caregiver, Hoffmann shared her experiences with friends, who urged her to videotape her thoughts and experiences. 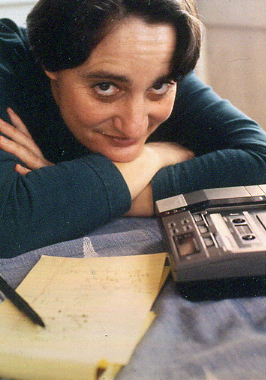 Complaints of a Dutiful Daughter "was really done out of necessity," says Hoffmann, an accomplished film editor whose credits include The Times Of Harvey Milk and Color Adjustment. "It was an all-consuming situation that I needed to deal with in a film." Eventually, Hoffmann discovers that her mother is suffering from Alzheimer's disease. 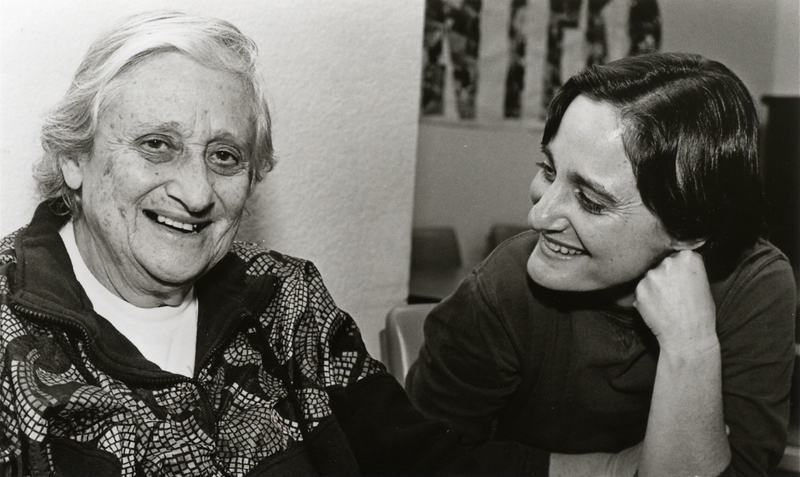 A desire to cure the incurable gives way to a growing acceptance of the fact that the Doris Hoffmann her daughter remembers no longer exists. "Little by little," the filmmaker explains, "the only real remaining memories are childhood and very early adulthood. And she remembers her parents fairly well. But what I always thought of as her life, what I knew to be her life  which was me and my brother and my father and the 50 plus years she lived in New York  that's kind of disappeared, which is a little hard for me to take." Their former relationship irretrievably obscured by memory loss, the two women forge a new friendship, based not on a shared past but on an abiding love that transcends long-forgotten particulars. "She is the ultimate of living in the moment," Hoffmann says proudly of her mother in the film's closing monologue. "She's sort of the ultimate enlightened person." Born out of love and frustration, Hoffmann's directorial debut weaves together old photographs, home movies, and modern video footage to create a heartfelt, exceedingly intimate evocation of the enduring bond between two people. Nominated for an Academy Award®, winner of both the Teddy and Caligari awards at the Berlin Film Festival, the film also touched the hearts of many at the Sundance Film Festival and was voted Audience Favorite at San Francisco's Frameline Film Festival. The late Chicago Tribune film critic Gene Siskel said, "Complaints of a Dutiful Daughter is the best film about Alzheimer's disease that I've seen." 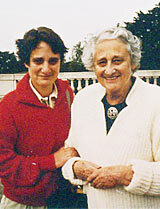 Filmmaker Deborah Hoffmann with her mother, Doris. 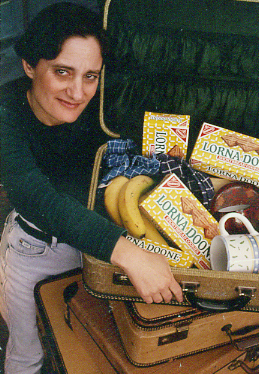 Courtesy of "Complaints of a Dutiful Daughter"
Filmmaker Deborah Hoffmann with her mother's suitcases. 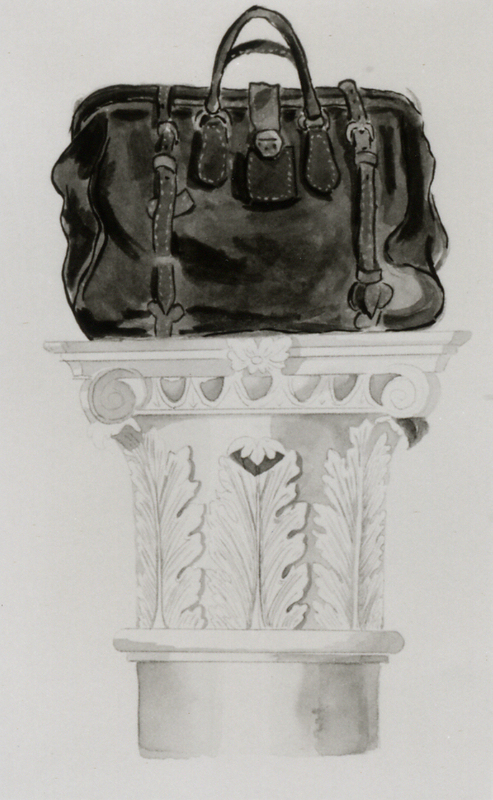 A portrait of one of Doris Hoffmann's suitcases. True Lives is presented by American Documentary, Inc. and National Educational Telecommunications Association.